Hydrocyclone for Extraction and Refining of Starch. Half a century hydrocyclones in starch refining have proven their efficiency as separation tools. We are now applying third generation with higher capacities than ever. A hydrocyclone has now moving parts. The centrifugal force is obtained by the conical shape of the cyclone and the pumping force. The light phase with fibers and most impurities leaves the top of the cyclone and the heavier starch leaves the bottom as a high concentrated slurry. The capacity of a single cyclonette is just a few hundred liters per hour. By mounting more cyclonettes in a frame with a common manifold large capacities are achieved per unit. 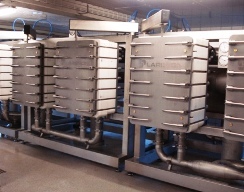 With more units in series and proper flow design any degree of purification can be made. 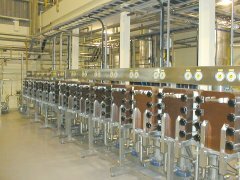 Manifolds with several hundreds cyclonettes are combined in units suitable for factories making thousand of tones of starch per day. We have extended the capacity of an existing potato starch plant to 3.500 tones of potatoes per day using these new units in just one line. With more lines in parallel, there is no upper limit of capacity. With parallel lines we often make them with different characteristics - one line for the larger granules and one for the smaller and each with an optimized flow design dedicated starch granule size. The units are extremely reliable and easier to open and maintain than ever. The hydrocyclones find use for initial concentration of crude starch slurry from the extractor and later in the refining process. We use them for washing modified starch free of residual chemicals after starch modification and wherever a centrifugal separation is required. 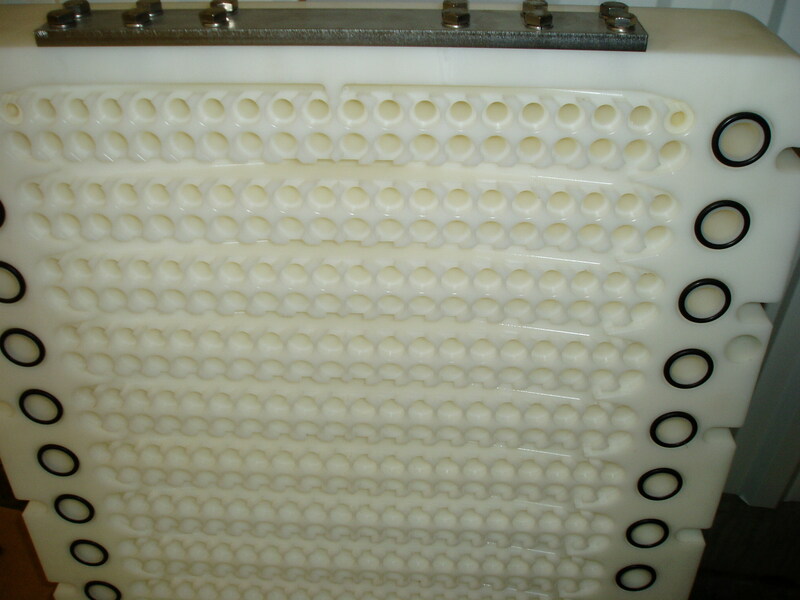 High Pressure Hydrocyclones (HPHC) are applied i cornstarch primary separation and refining. Combined with new leak-proof pump shaft sealing's maintenance is down to a minimum. Because centrifugal force will not do the job alone, we apply centrifugal screens. Hydrocyclones separate particles by density and screens separate by particle size. This combined action removes all solid particles and a countercurrent water flow removes the solubles. More about a new generation of screens.